Want to learn more about Resources? WordPress is an open-source, flexible solution for building and managing websites of any size and I just love to work with it. I’ve worked on dozens of WordPress sites over the years across nearly every industry: non-profit, B2B, Tech, & Industrial. More than once I’ve worked with a terrifically designed WP site with great content, a marketing push, and full company buy-in that just wasn’t getting the job done. Each time, it was because their installation was either lacking the proper back-end tools or they were not configured correctly. Do you feel like your team is running around in circles but not getting the results you need? I find myself reaching for the same free tools time and again when a client’s WordPress site needs optimized and thought it might be helpful if I shared my favorites with you. For the sake of this discussion, I’m referring to sites made using http://wordpress.org/ that your company hosts based of the core file pack, not free WordPress-hosted sites on http://wordpress.com. The out-of-the-box URL structure in WordPress is less than ideal. 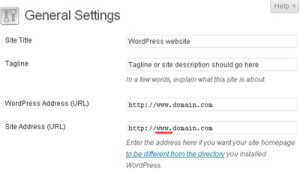 By default, WordPress creates URLs based on the database entry of a page or post like mycoolsite.com/?p=568. For SEO Best Practices, we prefer a URL that includes the title of the post, to let users (and search engines) know what the page will be about. 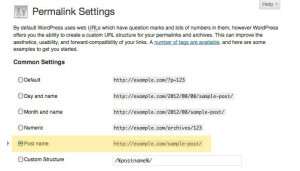 Under Settings -> Permalinks, you can modify this junky URL to a cleaner solution. I recommend choosing category/post-name or /post-name, which would result in mycoolsite..com/coolposts/mycoolpost or example.com/coolpost respectively. Ah, the age old SEO question: To show up as mycoolsite.com or www.mycoolsite.com. I personally prefer the www addition, but I have worked with clients who have eschewed it for branding reasons (typically Industrial companies). Now that you’ve done some URL housecleaning on your WordPress installation, we can get to the fun stuff: Plugins! WordPress has a very large directory of plugins (just under 30,000 as of right now), many of which are free to use. Adding a plugin to your WordPress Installation is a way to add a feature or function that is not built into the default platform. Let’s look at some of the most helpful SEO plugins. Each of my favs below includes a brief SEO reason for the plugin, and bullets of benefits to using the plugin. A great plugin to keep your site from being crawled by search engine spiders while it’s in development. 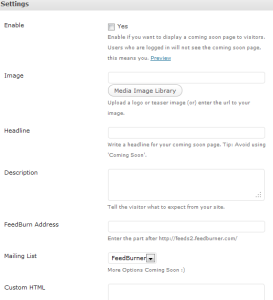 Create a “Coming Soon” page and only make your CMS and content visible to users who log in. Essential if you are working on a site relaunch. If you’re doing business on the web, it’s important to track your site’s performance. 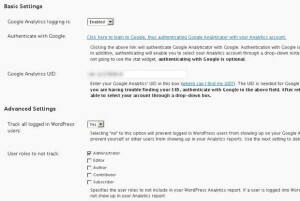 Google Analyticator adds Google Analytics tracking code to every page of your website. 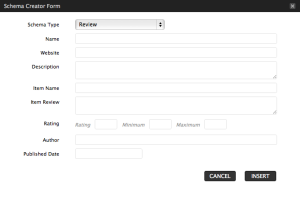 All you have to do is drop your Analytics UA account into this plugin and it will do the heavy lifting for you. It also includes a Dashboard widget so you can see traffic to your site and the most visited pages in WordPress! +Add custom Title & Meta Description tags to your pages & posts. Easily point old links to the right place to transfer link authority with no knowledge of code required. It even has an additional free Bulk Uploader to handle a large sheet of redirects from your old site. However if you’re handy with Regular Expressions (consult our handy guide if you need help), it’s best to code 301 redirects right into your .htaccess file. +Enables non-coders to create 301 redirects from old URLs to new ones. Search engines look for alt text as information about an image. It’s our job to help provide the hint. Out of the box you can set individual custom alt texts for each image, but what if you forget or have a big content team and can’t train everyone to fill out this field? SEO Friendly Images handles that for you. +Automatically adds file name as Alt text to images. Video sitemaps help search engines find out what your video content is about. +Generates Video sitemaps with the push of a button. Microdata from schema.org are little snippets you can include in your code to let search engines know additional information about a piece of content to display it in search results. Is the page a recipe? Perhaps it’s a product review? Maybe it’s a location for your business with a phone number and address. You can add microdata code to pass this information to search engines and they can include it when showing your page on the search results. Read more about microdata and it’s importance from one of LunaMetrics’ own. 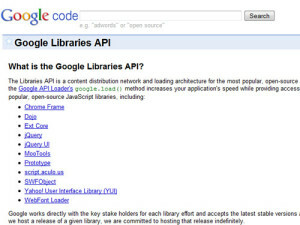 Looks for common scripts that your site is delivering and instead runs them from Google AJAX Library API. This helps reduce server load time and increase site speed. Delivering your site quickly can have an SEO impact. As we just discussed, site speed is important. Google prefers delivery search results of pages that are not slow to load. Make sure you stay in the game by using a caching plugin like W3 Total Cache to compress and cache files that are used over and over again. +Improves server performance by reducing file delivery times. With these plugins activated and correctly configured, your WordPress site is on it’s way to great SEO success (Don’t forget compelling content and helpful information for your users!). We didn’t discuss themes today (WordPress templates), but one additional tip is to choose a dynamically responsive theme. This allows your site to function nicely on mobile and tablet devices without the need for a separate mobile website. Search engines love dynamically responsive themes because they only have one CSS stylesheet that powers all three layouts, so it’s easy to crawl. Mobile is no longer suggested, its required. Plus, you’ll be making the search engines happy! Here are some great examples. Do you have any absolute “must haves” on your plugin list? I’d love to hear about them. Share with me in the comments below and I’ll include them in Part 2 of this series.